So this picture turned up today on the internet and people lost their minds over MC being a little less meaty than they remember. I am pretty sure the Culk has been twiggy for years so I am not too concerned. 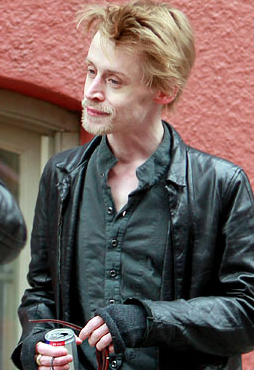 He does look like he has picked up a heroin addiction or something though...he looks rough as hell. Or maybe it is just the gnarly goatee he has blemishing his face. Yeah...that's probably it.